London Labour will gather for its conference this weekend to reflect on the past and plan for the future. It is an oversimplification to say the capital is a Labour city but it certainly is a place where Labour is in power. Besides having a Labour mayor, almost two-thirds of London’s councils are Labour. And the party can be proud of its record in London. Sadiq Khan, despite only being in City Hall for just over 18 months, has already recorded a number of important achievements, from introducing the one-hour hopper fare on the buses to bringing forward plans to pedestrianise Oxford Street. Turning around the disaster that was Boris Johnson’s housing policy will take time, but there is already a clear intent to prioritise the building of affordable housing over luxury flats. 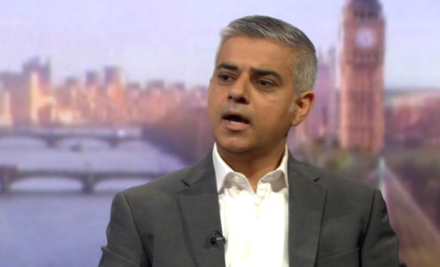 Khan has also been standing up for London on the national stage on everything from central government funding for policing – which is especially relevant given the recent terrorist attacks in London – to Brexit. And he has appointed commissioners to take forward important issues from cycling to technology, the night time economy and the rights of victims of crime. At the council level there is also lots to boast about. Take my local council, Hackney, for example, which has a plethora of brilliant initiatives. These include a free employment support service that supports local residents to find employment, Hackney Works. In a flexible labour market such as Britain’s it is especially important to have proper support for job seekers. Jobcentre Plus does not always provide sufficient support to job seekers so there is a gap where local councils such as Hackney do not step in. Crucially, it has recently been expanded by Hackney’s new mayor, Phil Glanville, to include those who are under-employed, on zero hours contracts or living with in work poverty. With so much in-work poverty it is vital that this kind of support is available. Hackney Works also provides specialist support around welfare reform, the troubled families agenda and for supported employment. If only Labour was in government this kind of scheme could be expanded across the country. Further east, Labour’s Newham council was the first to introduce a borough-wide landlord licensing scheme. The scheme has been praised by housing experts and in the last four years Newham has prosecuted more bad landlords than any other. With the ongoing housing crisis it is more important than ever to properly regulate the private rented sector. Out west, Hammersmith and Fulham have meanwhile under Labour introduced a free electric car club service, demonstrating our environmental credentials. There are many more examples of the difference that Labour councils make across London. One local authority where Labour is not in power though is Kensington and Chelsea, site of the awful Grenfell disaster. It is clear that the people living in Grenfell Tower were badly let down by the Conservative council. It is a stark reminder that politics really does matter. Londoners will have the chance to give their verdict on their local councils at the next set of council elections on 3 May. Labour can go into those elections confident of its record. With Labour controlling 22 of 33 councils in London, these elections will be in large part about retaining what we currently hold. Harrow, where Labour has a majority of one, looks to be a key battleground. There are also councils Labour could pick up. We should look to win Barnet, where the Tories have a majority of only one. On a good day, we might also win Wandsworth, where we did well in the general election. Some suggest that we might even win Kensington and Chelsea, following the amazing win in Kensington by Emma Dent Coad at the general election. That seems far fetched but I would have also said that before the general election about winning Canterbury. Anything seems possible now. In London, Labour already has a record showing how it makes a real difference for the better, now we just need to be allowed to make the same difference in government. Omar Salem is a Labour member in Hackney South & Shoreditch.